In September 1979, Suresh Kumar was headhunted for treasurer’s role in a large Government of Dubai project. He came here to explore the opportunity, somewhat reluctantly, with strings attached to his previous job in India. Even before the offer came, he was in a dilemma. He had a choice of working in New York and now this in Dubai. “By then Dubai had become a familiar territory, close to India. I chose Dubai,” he says. “When I came here, it turned out to be a project for the Government of Dubai, effectively owned by His Highness Sheikh Rashid (the then Ruler of Dubai)”. However, Dubal Management then operated under the policy of “need-to-know basis”. Kumar was a little perplexed, especially, as the legal entity, Dubal and had a paid-up share capital of AED 300,000. Yet, the project, an aluminum smelter operations and desalination plants were estimated to cost $2.3 billion; with a project finance package of export credit, syndicated loans, supply credit, aggregating to $1.8 billion as envisaged in in the project report (1978-79). Kumar was concerned that the share capital in the company was rather low, and there was no indication of further capitalization. Many questioned the senior management on this, they told him it would be taken care of. Kumar, then chose to travel back to India for holiday, during which he was worried that he may have made a wrong choice in terms of pursuing the opportunity in Dubai. He needed some persuasion to return to Dubai but determined to force the issue. As luck would have it, there was a meeting with His Highness Sheikh Rashed (the then ruler of Dubai), who asked him whether he had a problem? Kumar had the temerity to say: “Your Highness, I think you have a problem.” The Sheikh laughed and said, “Tell me what it is.” with a tone of sarcasm. When Kumar mentioned that there should be at least $500 million of capital, the Sheikh called in his officials and simply said, “Please arrange it asap”. This not only gave relief to Kumar but also made him focus on fund-raising and structuring a competitive project finance package with low-cost export and supply credit. It was the Sheikh’s hands-on approach that most impressed Kumar. “The fun in fundraising kept me going,” says Kumar. He recalled meeting Sheikh Rashed while, once, going out for a walk early in the morning. Sheikh Rashed stepped out of his Range Rover …looked at Kumar, and said, “what do you think, should we have a hospital here in al-Wasl?”. In those days, al-Wasl was still a part of the desert, and noticeably, there was no security around the Sheikh. A few years later, the Dubal Management team was summoned to meet the Sheikh in his Office. The CEO and the Finance Director had prepared a presentation and were ready to dwell on the impressive progress made in the project. Sheikh Rashed who was lying in a reclined manner, turned to Kumar and said, “Young man, you raised a lot of money for me; I want you to pay them all back now”. Having done his homework, Kumar had become savvy by then and replied: “Your Highness… Your wish is my command and this task will take about three months.” Sheikh Rashed then turned to others and then clarified as to why he needs this job done quickly. He said, given his illness, he wished to extinguish all his personal liabilities and guarantees. Kumar had made a name for himself as a versatile banker in India and in the UAE by then. His real prowess and resilience were stretched when he joined the senior team at the then Emirates Bank… in the making in 1985; following Dubai Government’s intervention and recapitalization by merging three family-owned banks and the new capital fully covering up loan loss provisions. The crises triggered a series of mergers, which made Kumar a kind of M&A specialist and, more importantly, entrenched him in a role that lasted around three decades. These five mergers changed the landscape of the UAE’s banking industry. Kumar looks back wistfully at those years, and how much water flowed under the Creek in Dubai since then. 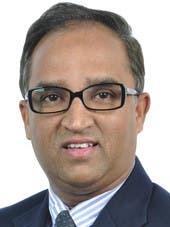 Despite being heavily involved in the growth of Emirates Bank Group over the years and overseeing its merger with NBD, Kumar’s entrepreneurial skills and senior management Indian connections were put to good use. “The Indian in me never left, not just at the family front but even at the professional level” he says. He found the IBC (Indian Business Council) & IBPC (Indian Business Professional Council – the perfect place for honing and networking skills. IBPC today is the only recognized representative organization of Indian businessmen and professionals in Dubai. According to Kumar, the IBPC story is a bit like Emirates Bank story. “It goes back to 1998 — when I formed the Indian Business council, an offshoot of Indian Association that existed then. Having created IBC gained a lot of traction,” he says. Kumar became Chairman of Federal Bank in India after retiring from Emirates NBD and was also Chairman of a leading Non-Banking Financial Institution (NBFI), which he set up for Federal Bank. He continues to be independent director on the boards of two financial institutions of the ICICI Bank Group and DM Aster Healthcare Company in addition to Emirates REITs/Equitativa in the DIFC in Dubai. What keeps him busy is his new initiative – Tricolour Financial Services – as a non-banking financial institution focused on financing capital expenditure (capex), relating to social & commercial infrastructure such education, healthcare and a whole host of other sectors that create positive social impact. What holds him in good stead are ethos, integrity, character, personality and discipline. “Work ethic cuts across – whether it is business, professional activities, or entrepreneurship,” Kumar signs off.